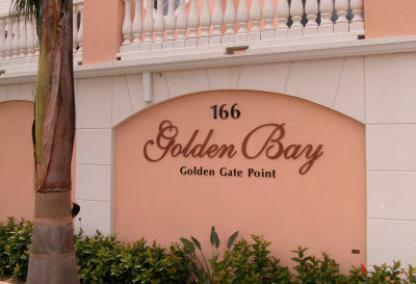 Golden Bay is located on prestigious Golden Gate Point in downtown Sarasota. The Mediterranean style building features only 8 condominiums along with 2 luxurious penthouses. 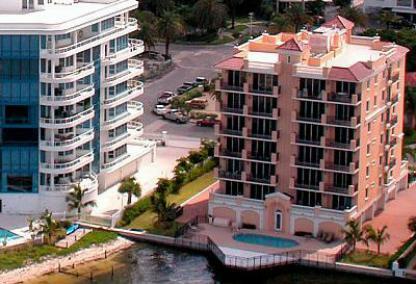 Residences feature panoramic views of Sarasota Bay, the John and Mable Ringling Bridge, and the downtown skyline. The building was completed in 2002. Residents enjoy luxurious amenities including a bayside swimming pool, a rooftop deck for socializing or entertaining, a day dock with fishing pier and two car garages.